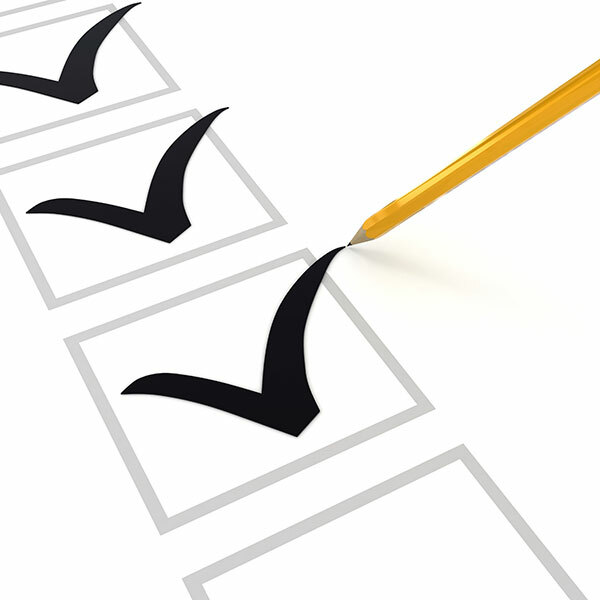 At On Time Heat & Air, LLC we strive for 100% satisfaction in everything we do. We value your opinion and invite you to tell us and others about your experience with us. Please take a few moments to tell us what you think by leaving us a review here on our website. THANK YOU ANTHONY! My heater stopped working overnight. Anthony came out that day And made repairs that same day. Excellent service! Fair prices! Job well done. I had my furnace and central air replace by ON TIME and the service was Excellent. Everyone that I dealt was professional and courteous and the job was done quickly and efficiently. Thank you so much! They installed a complete Heat & Air conditioning system last year. Installation was on time and installers were friendly and efficient. System has worked perfectly since then and I would definitely recommend them. They installed two air conditioners. Came back out in the spring and checked them. Their experienced technicians did a great job. I also included the UV air purifier on each air handling unit. The bulb burned out prematurely and replaced for free. I recommended them to my neighbor who had HVAC system replaced. Very happy with performance of the equipment. Highly recommend this company and their recommendations. Great Job, on time, I appreciated that the Mechanics covered their shoes with cloth covers when they had to enter the house. The visit after a small problem by a mechanic was great and on time. Money well invested.We will recoment your company without hesitation. Highly recommend On Time, were great. Anthony, the owner, made the initial sales call, very honest and knowledgeable, sold us the AC unit that was most compatible with our existing equipment and best for our needs, worked along with his crew during entire installation, wanted to be sure all was done correctly, all were polite and efficient, didn't leave until the system was running for awhile and the house had cooled. Extremely satisfied. We recently hired On Time to replace our furnace and well tank. Anthony and his team were knowledgeable and professional. The service was also excellent. They came when scheduled and didn't leave that night until all systems had been restored. Overall, we are very satisfied with the work performed. After nearly one year of consulting several technicians about mysterious and damaging condensation dripping into my basement, the On Time representative proved not only to be "on time" but "on point" with his correct diagnosis. Today I seem to be leak-free, worry-free and quite appreciative of finally feeling dry and secure inside my home. Product or service reviewed: Complete replacement of HVAC and Water Heater. The work performed was outstanding! The new Carrier System is efficient and operates great. The The former Mechanical Equipment Room was a mess with excess piping and wiring. The new room is well laid out and efficient and easy to maintain! Very nice work On Time Heat and Air! Thanks for the great installation! I just wanted to commend the professional way your technicians handled the job. I cannot ask for more. Paul has done an excellent job conducting a tune-up on my heat pump. He used electrical instruments to check the efficiency of the outside unit, inside unit, and the temperature of the air flowing from the vents. On Time gets a "10"
I contracted with On Time Heat & Air solely on the basis of the on-line references and testimonials. The experience of Anthony replacing our oil boiler with a natural gas boiler, as well as replacing an old air conditioning system with a new one exceeded my expectations of reasonable cost as well as efficiency and courtesy. Furthermore since the installations Anthony has always come immediately when I have had questions re: the systems, and has with much forebearance explained them to me. On Time is a great firm and gets a "10" from us. Eric and I wanted to thank you for all your help! Our air conditioner is running well and our house has never felt so great. Joe was a pleasure to work with and he talked us through everything that was to be done. Joe also explained how and what will be going on the day of installation. We set up a date and your men arrived to install our unit. They were here on time and worked while keeping us updated on what was being done. When our unit was installed they explained what needed to be done to maintain it and if we had any questions or concerns we could call anytime.</p><p>We received a phone call the next day, asking how everything was running and are we happy with the unit. I would highly recommend your company to my family and friends. Thank you again for your great service!! My husband called on a Monday, spoke with Stacey and an appointment was made for the next day to have our air conditioner serviced. Anthony came at the scheduled time, got right to servicing our unit and after cleaning it our air conditioner no longer had a musty smell. We were impressed with his professionalism and the care he took to keep our home clean. When he was done, he spent time with us and we talked about the possibility of having Carrier Air Purifiers installed on both of our furnaces. He left us a brochure to review - absolutely no pressure. We also purchased 2 maintenance agreements for our gas furnaces that day. The positive experience with Anthony and his knowledge led us to the decision to have 2 Infinity Air Purifiers installed. I worked with Stacey both over the phone and through email to confirm a bottom line price and to set up an appointment day. I can\'t say enough about how accessible she was, answering emails in the evening and extremely pleasant on the phone. On Friday at 9 am, Frank and Vito came to do the installation. The first thing they did was completely cover any area where they would be walking with heavy quilted material, including the steps leading to the upstairs where a furnace is in the attic. Both of them were hard working, personable and neat--one worked in the basement on one furnace and the other was in the attic on the other. The job took longer than they expected and they didn\'t rush through it (and it was a Friday afternoon). I received a follow-up email from Stacey on Sunday evening checking to see how the installation went - exceptional customer service! I would without hesitation recommend On Time to family and friends. 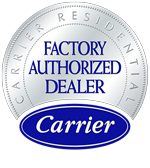 Replaced our old HVAC with a new Carrier dual-zone high efficiency system. Excellent work and craftsmanship. The job turned out to be much more complicated and longer than they expected but they were true to their contract. We love our new dual-zone HVAC system. Anthony brings decades of professional experience to his work. He promptly solved a complicated problem with my 11-year-old furnace, including getting the required part and completing the repair on the same day. Stacey ensured that an appointment for OnTime\'s services was made promptly and at a time that accommodated my schedule. I feel fortunate to have chosen OnTime in a crunch and am 100% confident in seeking their services in the future. I live in Hopewell Grant which is a development with 300 condos behind Stop 'N Shop in Pennington. My York Diamond 80 air heater was blowing air that was about 60 degrees F and it wasn't doing much to heat the condo. I called On Time, on Saturday at around noon. They came within a few hours and on-time. Anthony, the owner, replaced my flame sensor. The heating unit works properly now. The whole operation was very professional. He wore shoe covers while walking in my house. I liked that because I don't wear my shoes in my own house. They even take credit cards. I'd use them again. Not an easy fix, prior 2 service companies failed. On Time fixed it right the first time. Before going away for the weekend, I realized that something wasn't working properly with my heating system. I made numerous phone calls to companies used in the past in addition to others in the area. All were either too busy or unresponsive. I reached Stacey sometime Friday afternoon and seeing as I had no heat she stated that she could get someone to my home in the morning. I was more than happy with that and explained that I would be out of town but family would there watching my young children. Hearing that she put me on hold and came back a few minutes later explaining that someone would be there later that evening if that was ok. First good sign - excellent customer service. Anthony arrived as promised, reviewed the situation and gave me a call to explain what he encountered. Basically, my main heating system was no longer functional due to poor design of the venting components. He said he would put together a plan and we could discuss when I got home on Sunday. Since I was a good distance from home, I called him on Sunday morning stating I could not commit to a time. Anthony said to call when I got into the area and we would figure it out. True to his word, he came by Sunday evening and outlined a plan. Truthfully, I wasn't anticipating a whole new system but I knew any 'repair' (if even possible) to the existing system would be temporary. In the past I had a number of others look at the ventilation of my old system. Each told me it was a bad design, but nobody had a good solution to fix it. Anthony was the first to suggest tapping into another furnace I have used for radiant floor heating that does vent properly. It would require some extra work and equipment that I didn't have (i.e. heat pump) but it seemed like a perfect solution. Plus, it was the week before Thanksgiving and Anthony was going to attempt to begin work on the Wednesday before. He and his crew arrived and got most of the work done on Wednesday. Enough to get the heat working. I was not home, but my wife was happy with their professionalism. The job was complete on Saturday. Again, I was away so I didn't get a chance to review the work performed until I returned the following week. I came across a few minor things that I wanted addressed so I reached out to Stacey. She immediately arranged for Anthony to come back out to my home. He addressed the few items that I identified and even serviced the furnace at no charge. Overall, I had very good experience. I would recommend and plan to use Anthony and company for future Heating/AC needs. On Time Heating & Air Conditioning is the best! We had been experiencing issues with our heat and lost it again on Christmas Eve. Stacey was very compassionate and personable throughout the entire situation. Anthony and his staff came right out that day to resolve the issue and to put a plan in place. We were very impressed with how timely & professional they were in handling everything. Anthony really knows his stuff and Stacey rocks! It gives us great peace of mind that they provides 24-hour emergency service, and Anthony and his team kept reassuring us that we can call anytime day or night. It is extremely comforting to know we found this great company right here in Pennington that is reliable, friendly and offers true customer service which we truly value &amp; appreciate! My 2 children and I were without power for over a week after Sandy. When the power did come on, we found out we had no heat in the main part of the house. I searched Angie's list and found an A-rated provider nearby. It was the first and only call I had to make. I called at about 9 am and they were at my house to assess the situation less than 3 hours later. Anthony went about the assessment very methodically. He answered my questions and explained what he was doing and why. It turned out that the electrical in the heat pump had burned out from the all the power surges (as did the electric to our well). We discussed what would need to be done and he was there the following day with information and a series of estimates ranging from replacing the heat pump only with a system compatible with the internal blowers system as well as several complete systems from the lowest through the highest range. Once again, he was patient with my questions and he was unhurried. He did not out any pressure on me to buy a more expensive system over the least costly option. He pointed out the benefits and drawbacks of each. As the interior system had aged, I made the decision to replace the entire heating system and upgraded to the greenest option. He called to locate the unit I wanted and advised that it would be almost a week before it was delivered. I decided to stay with the option anyhow. One week later he was there with his crew to install the system. They were very neat, clean and quiet. He programmed the thermostat and even set the humidity. He explained the functions to me before handing over the manual. Now I hadn't even thought about my homeowners insurance prior to installation. I called them and they sent out an adjuster about a week later. Anthony left the burned unit for the adjustor to see. The adjustor advised that they would likely cover the unit as part of my hurricane damages. The next day, the adjuster called to say they that the damage was attributable to the hurricane and would be covered, but I would need the supporting documentation from On Time. I called the office and spoke with Stacy P. She was wonderful. I emailed the information need and the documentation was faxed that same day to the adjustor. I was made to feel like I was their only concern. Cheerful, service-oriented, competent and caring are just a few of the words that come to mind. Stacy was extremely helpful and also compassionate regarding a very difficult situation that occurred in the middle of Hurricane Sandy. On Time and Anthony really stepped up in restoring our heating system. We will be using them again soon to replace the heater at our shore home!!!! We are very pleased with our new furnace and hot water heater recently installed by On Time. Great people to work with. Excellent job. What a summer to enjoy the air conditioning you installed. One of the best investments we made. Thanks for all your help. Friendly, knowledgeable, with fast response and service. Our PSE&amp;G bill went down so much since having our AC unit serviced! Thank you! You were able to quickly diagnose , replace the part, and test it out. You did a thorough job, which I have no doubt about. I wanted to take a moment to thank you for being prompt, thorough, and fixing it ON TIME. Your professionalism is very valued. My wife and I are very pleased with the complete replacement with the Carrier air conditioning. The guys were very professional. Thank you. We will recommend your company to a few neighbors who I know need new HVAC systems.